“(…) Mandela is like Moses, leading the Israelites. No more slaves now” confessed Thembeni Sibeko a Soweto resident to the BBC. Now back in his home reportedly on life support and while ailing from a lung infection in hospital, South Africa and the World panics at the thought of a World without Nelson Mandela. His bedside support stretches beyond borders. Understandably so, who would ever want to let go of such a man? Once persecuted for his fight to end apartheid in South Africa then jailed for 27 years on Robben Island, Pollsmoor Prison and later Victor Verster Prison and stepped down as President in 1999; Nelson Mandela symbolizes the beauty of the struggles and victory of activism. He was expelled while studying for a Bachelor of Arts Degree at the University College of Fort Hare because he had joined a student protest, he was arrested with 156 other activists and charged with treason in 1956. His life was filled with sacrifices for his country but empowered by his dream of a democratic South Africa and following his release as he was found not guilty, Mandela continued working towards his vision to take his country from an apartheid government to a peaceful multi-racial democracy. His beginnings were marked by a commitment to non-violent protests, determined to change the bitter situation of his people, he co-founded the armed struggle against apartheid “Umkhonto we Sizwe” – Spear of the Nations in 1961. Together with the South African Communist Party, they led a bombing campaign against government targets. These campaigns led to his arrest in 1962 and his conviction of sabotage and conspiracy to overthrow the government. Sentenced to life imprisonment, Mandela spent 27 years in jail until he was elected as the first black President of a traumatized South Africa from apartheid in 1990. 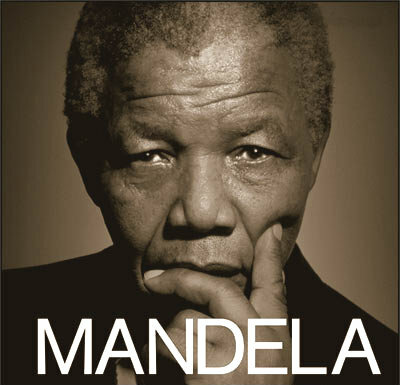 Mandela play a leading role in the drive for peace and won the Nobel Peace Prize in 1993. When is the Right Time to Act ? The intentional action to bring about social change, political change, or economic justice are the very definitions of activism. Activism can take a wide range of forms; from writing letters to newspapers or politicians, political campaigning, economic activism, rallies, blogging and street marches, strikes, hunger strikes, or even guerrilla tactics. Each type of activism have their strength and weaknesses and can be manifested through and by different agents. You and I are the agents: reformers, citizens, in other situations : rebels. From founding the “Spear of the Nation” to speaking of “Ubuntu” or togetherness, Mandela’s activism was shaped according to the situation he wanted to change. Mandela is both a guide, an inspiration and a honourable political leader. His ultimate goal was to lead South Africa to a smoother transition to peace even following the bitter and painful scars of apartheid. Mandela’s life was not of smooth sailing but he achieved his dream of equality against apartheid. Many valuable lessons can be learned from his relentless dedication to activism. Even as a highly valued political leader, Mandela cleverly used his position to bring about change. He was instrumental in appealing for help to end the civil war in Burundi before the United Nations Security Council in 2000, signing the Geneva Accord for peace in the Middle East in 2005 and promoting awareness for global issues such as AIDS. Depending on the situation, one form of activism may be more effective than another. In this sense, it is crucial to identify which route to embark on to achieve your goal, to effectively advocate and stand for your vision. Identifying to right form of activism is key its effectiveness and outcome. As Madagascar faces its current political crisis, it is not the time to lose hope and sulk in desperation. Instead, let us be led by your vision for Madagascar’s future and act towards it. Tailoring our activism to the changing situations to optimise our results. A recent illustration took place on 26 of June in Antananarivo, when in an era absorbed by the influence of social media reigns a group known as « Wake Up Madagascar » – WUM organised a flashmob on the symbolic Independence Day. WUM is a platform that empowers citizens to act for Madagascar led by their visions and perception of a better Madagascar, be it political stability or better living conditions. WUM made headlines for their activism in the streets of Antananarivo, certainly raising awareness that Malagasy are concerned about their destiny and are ready and willing to work to improve it. This exemplary demonstration of solidarity over the country’s future was an activism that was well timed and suited to the situation. Undeniably, we, Malagasy have the opportunity to aspire from the Mandela’s greatness. One does not need to be “great”, “rich” or “important” to make a difference and act for change. Rolihlahla Dalibhunga Mandela was born in a small South African village, grew up in humble homes, thrown out as a student, struggled to finish his academia, left by his first wife because of his activism, against all odds he became one of the greatest African leaders in history and above all made activism his lifetime career. There won’t be a next Mandela, for his achievements will forever be unique. Every aspiration, purpose, dream have valuable merits. Faced with an ongoing political crisis; we, Malagasy are to stand firm and work towards much needed reforms for our country. These changes are achievable in every capacity, be it, as simple as, teaching a child not to throw a wrapper in the street or as bold as calling the attention of leaders to fulfil their social contract. Pakysse encourages Malagasy to shape their own destiny and pays tribute to an admirable man: Nelson Mandela. « WAKE UP your people are slowly dying !